Shares of United Natural Foods (UNFI) are getting crushed today. Down over 12%. 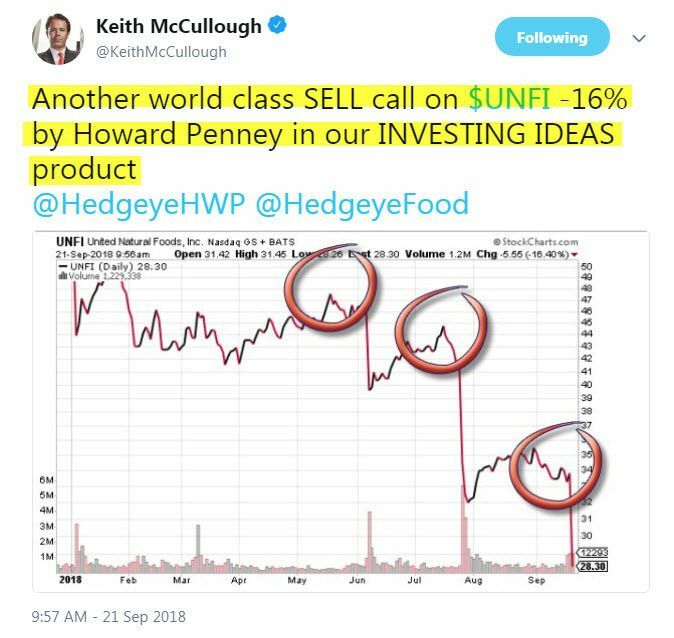 Veteran Hedgeye analyst Howard Penney has UNFI, a distributor of natural and organic foods, on his "Best Idea" short list. Hedgeye CEO Keith McCullough added it to his list of high-conviction ideas on Investing Ideas on June 28th. 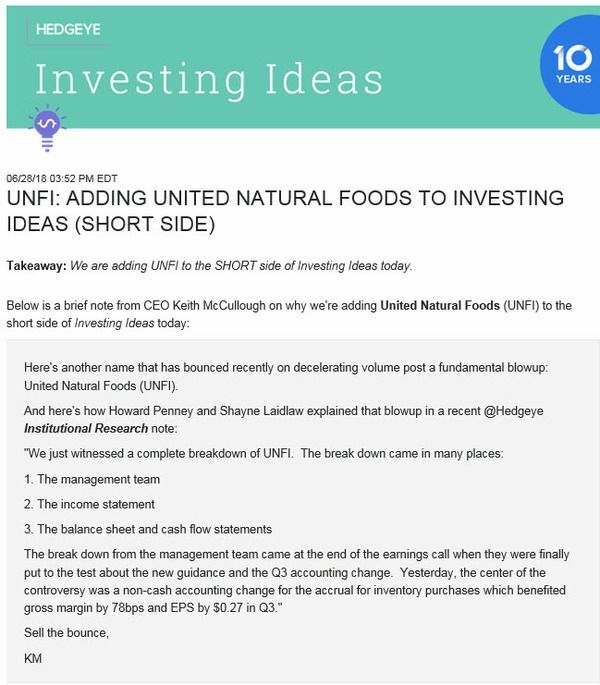 Here's the date we added UNFI to Investing Ideas.